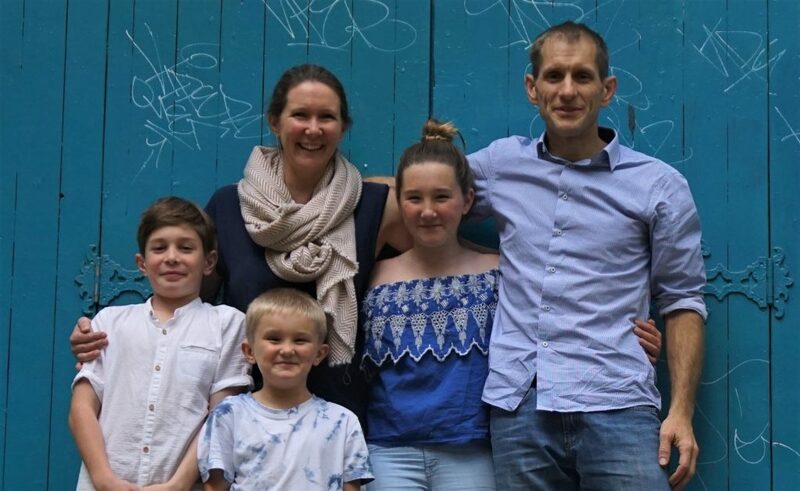 The Morris’ journey with INF and Nepal has come full circle as Phil, Elle and their three children prepare to return to Nepal in July this year. Phil will take up the role of INF International Nepal Country Director, 15 years after he and Elle first contacted INF about opportunities to serve in Nepal. This new chapter will see the Morris’ based in Kathmandu. Phil’s role will focus on ensuring good relationships with the Government of Nepal, supporting INF’s team of expatriate technical advisors, managing INF’s Kathmandu office and supporting the leadership of INF Nepal. Elle will initially focus on getting the family settled, and then explore the many opportunities to get involved with the community, school, INF or other local ministries. Their children Evie , Jude  and Isaac  will attend the Kathmandu International Study Centre [KISC]. Phil and Elle’s passion for Nepal and its people grew during their initial time working with INF in the Pokhara office. Elle worked in human resources and Phil in fundraising. After several years in Nepal, the family moved to Australia where Phil took up the role of INF Australia CEO. He spent nine years leading the office in Australia, and the Australian volunteers serving in Nepal. The Morris’ say their experiences; celebrations and struggles to date have helped them to grow in faith and taught them valuable lessons for this new season in Nepal. They are grateful for the friendships and communities they have been part of in Australia and are looking forward to serving with INF in Nepal – learning new culture and language, growing in their faith, making new friends, joining a local church, and being part of bringing God’s hope to communities in Nepal. If you would like to partner with the Morris family financially [using direct debit, bank transfers or a credit card], prayerfully or receive news please get in touch with the INF Australia office via ausoffice@au.inf.org. You can also donate via credit card and sign up for news from INF online by going to www.inf.org/donate and selecting ‘Support of the Morris family.’ To receive prayer and news updates from the Morris family email philip.morris@inf.org.